Image: “Vicarious Vitae – Laundry Basket on My Head!” … little girl in flowered sun dress with blue laundry basket over her head, https://slm-assets0.secondlife.com/assets/6827004/lightbox/VVC-LaundryBasketHead-ad.jpg?1355952339 ..
Then when those men pass on, and, through God’s mercy and wisdom, reincarnate as women, and once again have the use of both sides of their brain, they say: Aha! For myself, I’d like to see all humankind set aside those baskets, and fall into the New! 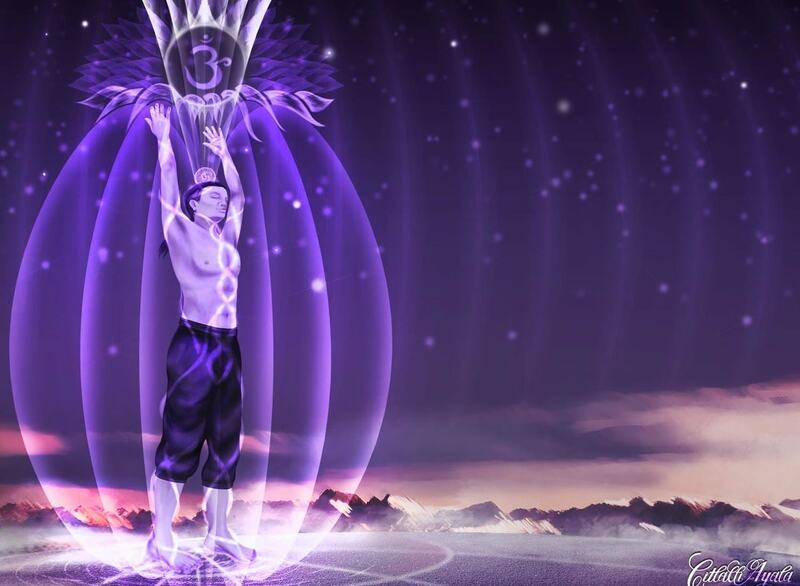 Image: Man with Kundalini Energy Activated and Crown Chakra (Sahasrara Chakra) open, and EMF Torus Activated, by Citlalli Ayala: http://www.citlalliayala.com/wp-content/uploads/2016/04/7.jpg ..
See: “Alpha Centauri /Mind Power Expansion” at Judy Satori’s website … https://judysatori.com/ … This site was redesigned in 2018; I hope this information is still available. This entry was posted in Alpha Centauri, Human torus, Karma - incarnations - causal reality, Mastery of mind - subconscious - unconscious mind, Misogyny - philogyny - respect for women, Power over - powerlessness - service to self - service to others and tagged Alpha Centauri, gender prejudice, JScambio, left brain, mastery of mind, mind power expansion, misogyny, power over, reincarnation, right brain, whole brain on 5 December 2017 by Alice B. Clagett.